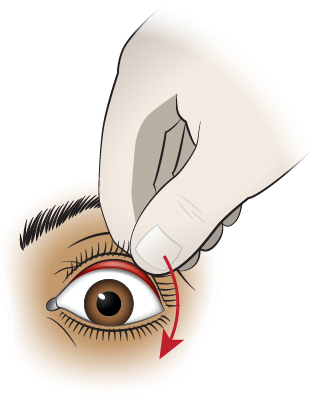 Method 1: Bend forward and close the eyes. 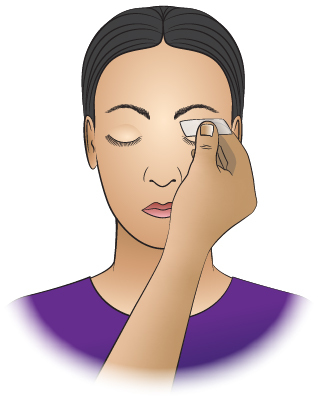 Have someone blow on the closed eyelids to get the flakes of glass off the skin. Method 2: Another technique is to touch the flakes of glass with a piece of tape. See drawing. 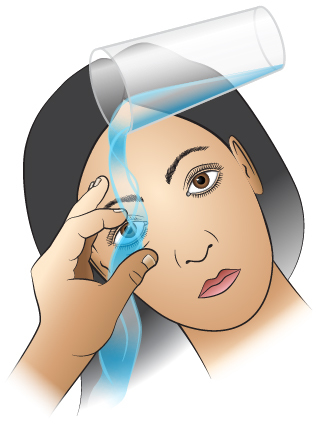 To remove any remaining glass, splash water on the eyelids and face. 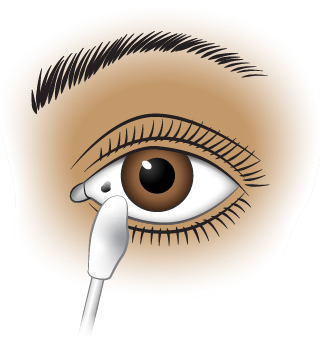 Cover the eyes with a wet washcloth. 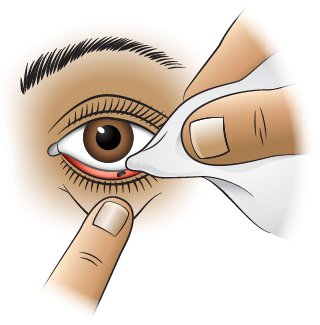 Do not rub the eyes.